euNetworks, a provider of bandwidth infrastructure services in Europe, today announced it has expanded its Media Connect solution into Manchester’s MediaCityUK. This investment delivers customers a seamless network experience from London through to Manchester and onwards to Europe, with diversity and true scalability. Media Connect launched in September 2015 and offers a solution closely developed with the media community. The company has invested in connections to key media areas around the UK and Europe. This includes fibre from Chiswick Park to the west of London, to Wood Lane and Soho, further east to Here East in Stratford as well as up to Manchester’s MediaCityUK and to Hilversum in the Netherlands. The additional diversity and direct fibre connection into dock10’s state of the art facility in MediaCityUK, extends the uniqueness of euNetworks’ project based contracts and service delivery experience to a wider geography for media clients. "This investment increases the reach of our network and importantly, diverse routes for our customers into Manchester and beyond," said Kevin Dean, Chief Marketing Officer of euNetworks. "Owning and managing our own network, with direct fibre connection into key sites and data centres, means we can support the bandwidth requirements of our customer’s today as well as plan for future bandwidth demands as they seek to push more of their workflow online to the cloud." 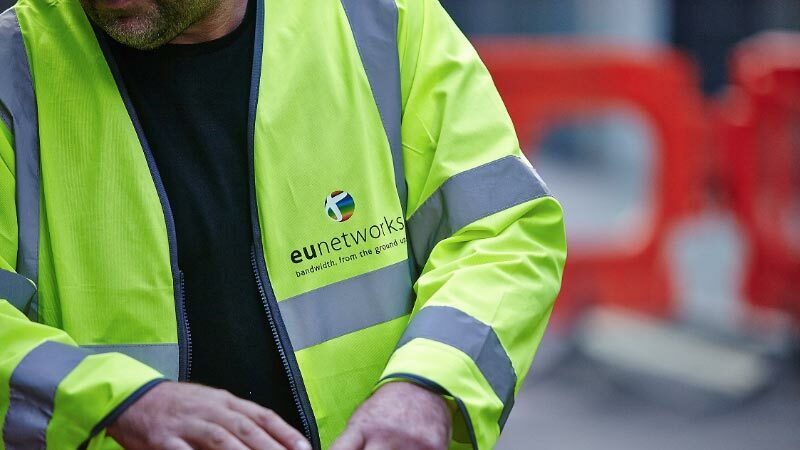 euNetworks owns and operates their own fibre networks that connect more than 280 data centres and 1,000 buildings across Europe as well as offering direct access to 12 cloud platforms. "Having euNetworks connected to MediaCityUK enables further growth and flexibility in the connectivity options to and from Manchester," said Mark Senior, MD of dock10. "We welcome euNetworks to the site and look forward to working together more closely to support the flow of media content delivery. Their technical expertise and understanding of what the media community needs is a great addition." The euNetworks team is onsite at The Media Production Show in London from 9-10 June, talking about Media Connect, Cloud Connectivity and 2016 plans. To learn more or book a meeting, contact the team via the press contacts provided below.